This is an easy quilt made with only two different 9-patch blocks. 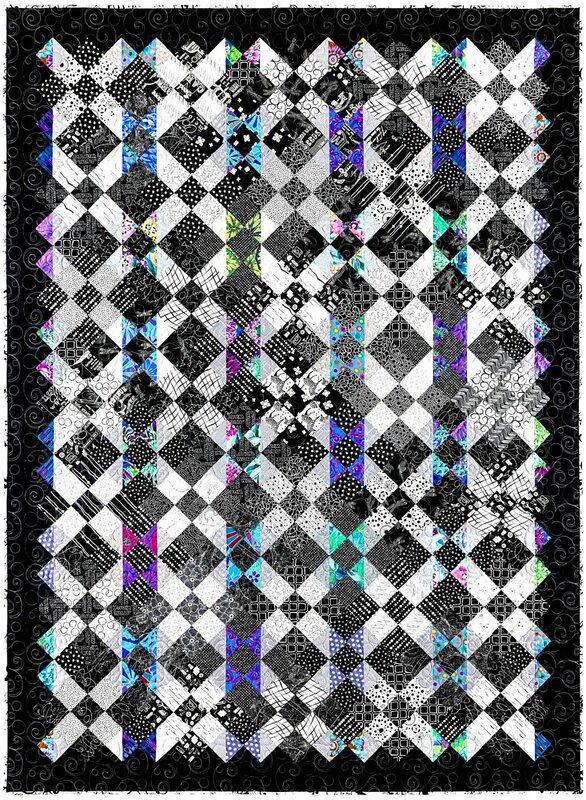 Who would have thought a 9-patch block could be so stunning! The quilt can be made using browns instead of the bright blues and greens to make a more masculine quilt. The blocks finish 9" x 9" so it goes together quickly. Blocks are set on point and the border blocks look they are going into the border, but I have made it very easy for you. Looks complicated, but it is not!